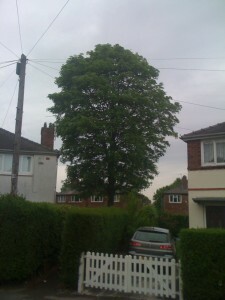 This sycamore tree has a good even form and a dense crown and needed pruning. 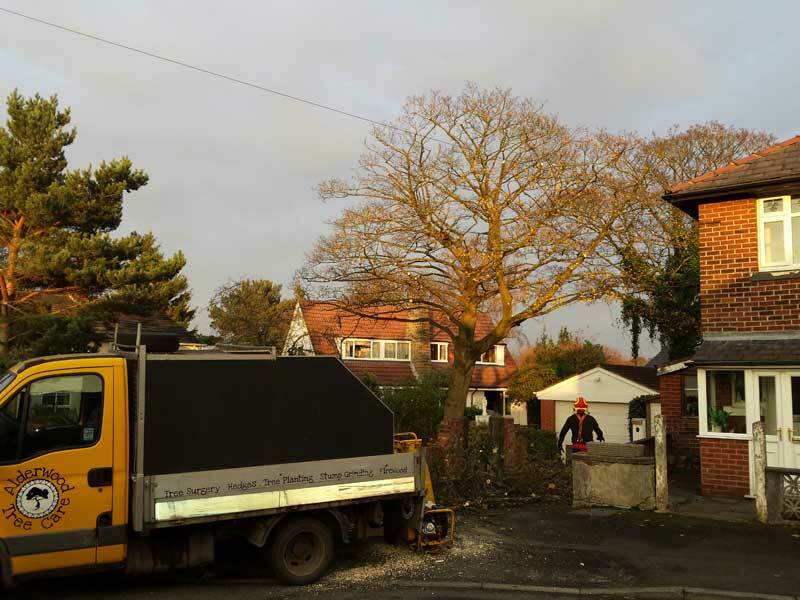 The client here was concerned that their lawn was suffering from getting very little light due to the shadowing of the tree. A crown lift was suggested to allow light through to the garden from below the crown of the tree. 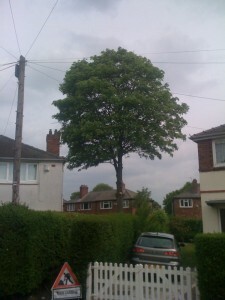 The lower lateral branches are removed whilst maintaining a good shape. The selective removal of smaller branches within the crown to reduce the foliage density whilst maintaining an evenly balanced canopy. 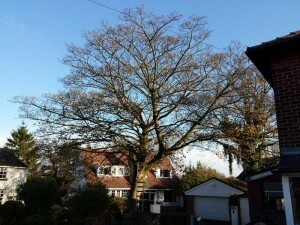 This procedure reduces wind resistance of the tree canopy which decreases stress on the branch structure, whilst allowing more light to penetrate through the foliage. Crown reduction pruning is most often used when a tree has grown too large for its permitted space. Selected branches are carefully removed back to appropriate growth points to reduce the overall height and spread of the tree’s canopy. 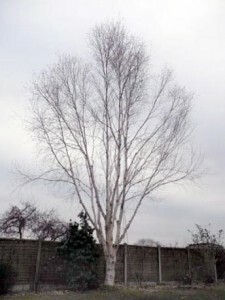 This method results in a more natural appearance and increases the time before pruning is needed again and minimizes stress caused to the tree. Crown reduction can be used to reduce the wind resistance and uptake of water, but in urban areas is often done to keep the tree at a manageable size and allow light into gardens.